represent the condition of the machine. The list starts below the graph. 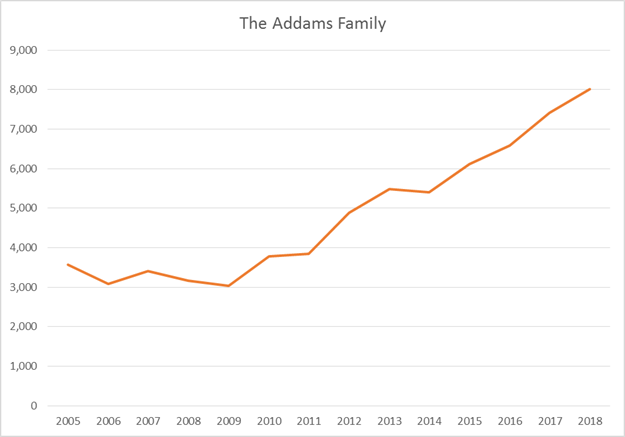 Addams continues increasing in value, at a steady pace. Given the limited supply, I expect it will contine.